What This Offering Will Do For You - Locate land and analyze the development potential quickly. Also, get your deal funded and be able to start building as soon as possible. Partner with the land owner to realize huge profits in a couple years. 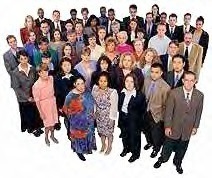 All forms & software are included. 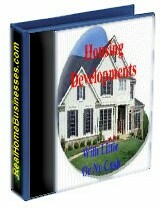 Build a housing addition in your area and pocket huge profits. 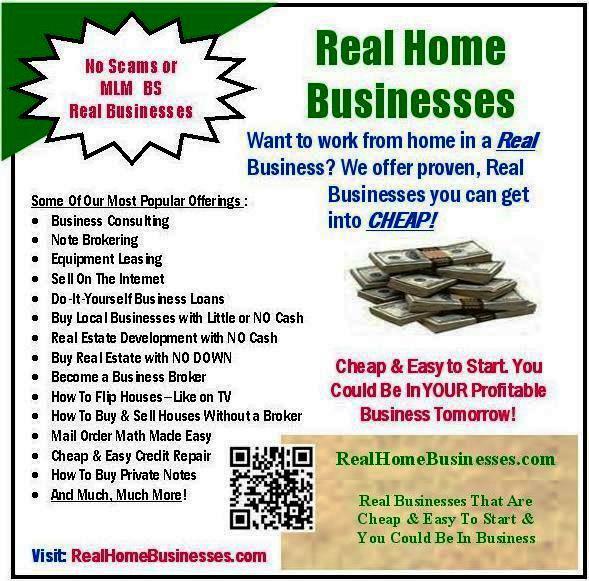 This business can be run from your home. How would you like to make over $4.0 million in two and a half years? If this appeals to you, please read on. This program has been worked as outlined and could work for you too. What is more American than owning your own home? Each year millions of new homes are built and sold making developers and builders very wealthy people. There is something exciting about a new house. Buyers would much rather have a new house than and existing house, all things being equal. Our program will show you how to find land to develop, how to get the financing to start your project, how to evaluate the parcel of land and project your profits and the number of houses and phases of your project. We show you how to approach the land owner with a deal they can't refuse and how to structure the deal so it costs you nothing. You can actually give the seller more than they are asking for the land and still make huge profits. Once you find a parcel of land, about 30 to 50 acres is good, our software will quickly show you how many houses you can put on this land, how many phases you will need to build it in, what you will need for streets, playgrounds and other offsite improvements, what the house will cost you to build and what you would sell the house for to the home owner. We also show you what the new buyer will need to make to qualify for a new loan to purchase this home. Finally, we will show you how much profit is in the completed project. Let me walk you through a deal. I found a parcel of land that was 55 acres and the seller was asking $150,000. The parcel was rectangular shaped I went out to see it and take some pictures. When I got back to my office, I opened my development software Excel program and went to work. Twenty minutes later I had the particulars of the deal printed out and ready to make an offer. My philosophy is to build houses for the median priced houses which has the most amount of buyers making the marketing of these houses as fast and easy as possible. In my case I was structuring the development around a $165,000 selling price per house. I selected a finished lot size of .33 acres and my software told me I could put 115 houses on this parcel, allowing 4,910 linear feet of streets and leaving out 7 acres for a mini-warehouse complex. Normally we would build about 30 to 40 houses per phase but in this case we reduced it to 15 houses per phase making the total project completed in 8 phases. To start the project our lender would lend 45% of the finished lot value for streets and other offsite improvements for the first phase. This would amount to $115,000 to get the first phase offsites started. The actual construction loan for the houses would be financed by the individual buyers so we wouldn't have to qualify for these construction loans. We withheld 12 months of interest payments in reserve on the initial offsite construction loan and needed about 3 house sales to pay off this initial draw. Total time for the first phase was about 9 months. We continue to roll profits into offsite improvements for ensuing phases until the project is completed. This deal was structured around paying the land seller twice the amount they originally had asked over the length of the project. After this payment to the seller the project showed a profit of $3,867,946. 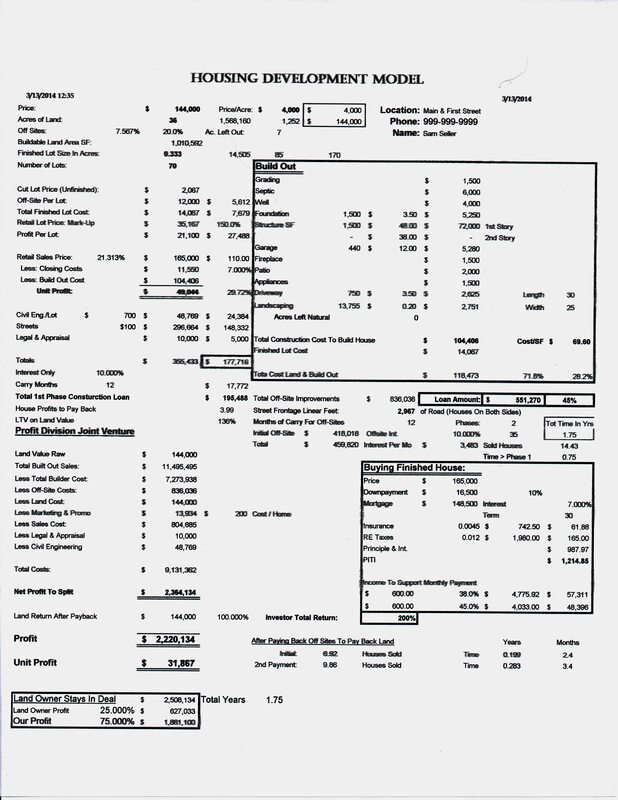 Please view a copy of the Excel spreadsheet data as it contains too much information to discuss each item individually. You enter the parcel size and it will compute how many lots it wll provide at various sizes with streets removed what your development cost and profits would be also. The Excel program is marked where not to enter data as these cells are automatically calculated for you. There are also comments in the cells to explain what data is in the cell and how it was calculated. We have made this spreadsheet bullet proof and idiot proof so you can work fast and error free. Again, enter your parcel data and data on the houses you want to build and the spreadsheet automatically calculates everything for you and allows you to analyze a potential building site in minutes; SEE BELOW. Click Here to download the above spreadsheet screen shot. Once I completed the spreadsheet work above I had the deal staked out. Now I take the salient points to a letter of intent (not shown) and mail this to the seller. After a few days I contact the seller and arrange a meeting to discuss how we can move forward with this project. Once agreement is reached with the land seller there will be legal work to set up a Joint Venture agreement. Also, we then start to assemble our timeline and various contractors to move from civil engineering to planning department approval, through scraping the dirt to pouring the concrete for the roads and getting a sales office set up to show the floor plans, elevations and price lists for the houses we will build (the building contractor has all this info). The software above took the 36 acres acquired in the JV and allowed for streets parks etc. & came up with 70 lots to be developmed in 2 phases and over two years estimated the profit to be just over $2.2 million. * A step by step explanation of the process and who you need to assembly on your team from civil engineers to house builders to real estate agents. * Contacts for construction financing, homeowner financing, offsite constructions financing for all types of construction projects; what types of firms to contact to allow you to assemble all the pieces to complete the project. To Summarize; you use our software and our forms to get the project started. You use proven professionals, already in business, as your sub-contractors to build your subdivision and sell it to the public' You manage these professionals. You can easily finance the project with an easy to find money partner. It's that easy! In Short: You could be the "Donald Trump" of your local area & if done correctly the JV land is your down payment on the developent loans. Using the land as your equity drastically reduces or eliminates the need for any cash on the developers part. This may seem hard to believe to developers are doing this every day.